No matter the location, when commercial roofing needs arise, customers want a commercial roofing partner that can provide cost-effective and full-service roofing solutions with a level of depth found in reporting, accessibility in the case of emergencies and leaks, as well as quality and reliable roof-management service. From construction to fabrication to service, Maxwell Roofing & Sheet Metal, Inc. has a trusted reputation of being more than just a commercial roofing contractor. Additionally, with more than 60 years of history and experience, the Maxell team takes responsibility seriously. From a local business that originally served Middle Tennessee, Maxwell Roofing & Sheet Metal, Inc. officially expanded to Northern Alabama in 2010. With the opening of a satellite office in Huntsville, Alabama, Maxwell’s team serves the commercial roofing demands of the Northern Alabama region and has a highly-regarded reputation in the region as an honest and capable commercial roofing and sheet metal contractor. For those on the search for the best commercial roofing partner in and around Huntsville, Alabama, here’s a look at some of the unique factors within the North Alabama market, as well as key reasons to choose Maxwell Roofing & Sheet Metal, Inc. over the competitors. What’s unique about the Huntsville commercial roofing market? Maxwell Roofing’s Service Account Manager for its Huntsville office says, “There are not a lot of commercial roofing companies in the Northern Alabama area that focus efforts on roof repair nor have service departments. Most of the companies that exist in the region just want to roof or re-roof.” This opens the door of opportunity, allowing Maxwell Roofing to shine, as the company is a full-service partner for the entire lives of their customers’ buildings. As opposed to being a “storm-chaser” roofing company that’s here today and gone tomorrow, Maxwell is a family-run business that trades on its reputation. As a market leader in quality, documentation, and customer service, the acclaimed Maxwell Roofing legacy remains strong in Huntsville and throughout the Mid-South. When making the call on which commercial roofing company to partner with in and around Huntsville, Alabama, Mecomber says, “Maxwell’s attention to detail, competitive urgency, professionalism, and detailed reporting process are just a few of the differentiators that make the company stand apart in the Huntsville commercial roofing industry.” Additionally, every Maxwell Roofing team member is a full-time employee, which is something that you don’t often find within the industry. “Even more, Maxwell’s local presence and accessibility is something that means a lot to our customers,” affirms Mecomber. In other words, when you call Maxwell, you get a quick response, which is not always the standard in the commercial roofing business. Perhaps atop the list of Maxwell Roofing & Sheet Metal, Inc.’s unique differentiators is MAXCare, coined as the most comprehensive roof management program in the industry. Maxwell customers across the Mid-South have affirmed that no other program provides property managers, maintenance supervisors, facility managers, and building owners with more value or a higher level of service, offering cost savings, education, and preventing future unexpected roofing surprises. Curious to know more about how Maxwell Roofing & Sheet Metal, Inc. stands out in the Huntsville and North Alabama commercial roofing market? 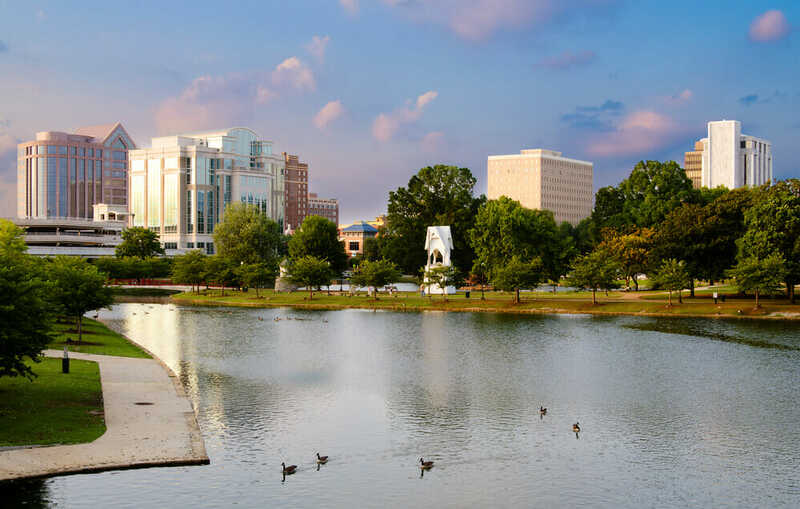 Contact us today to connect with one of our Huntsville team members!